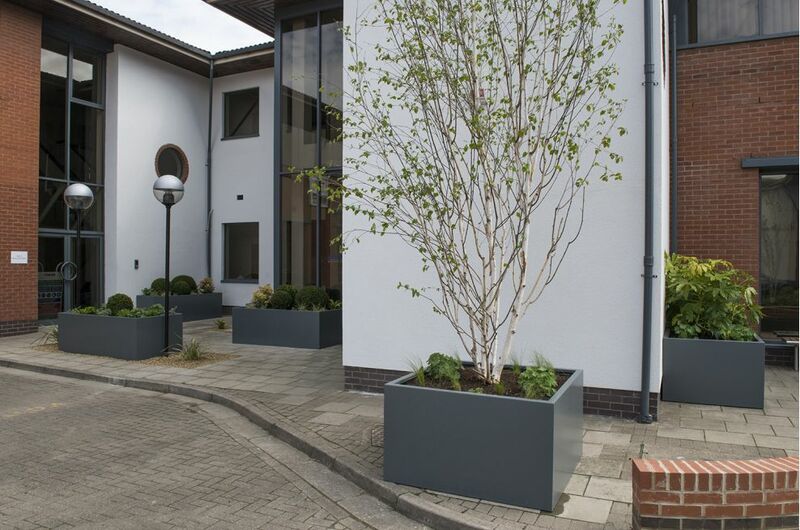 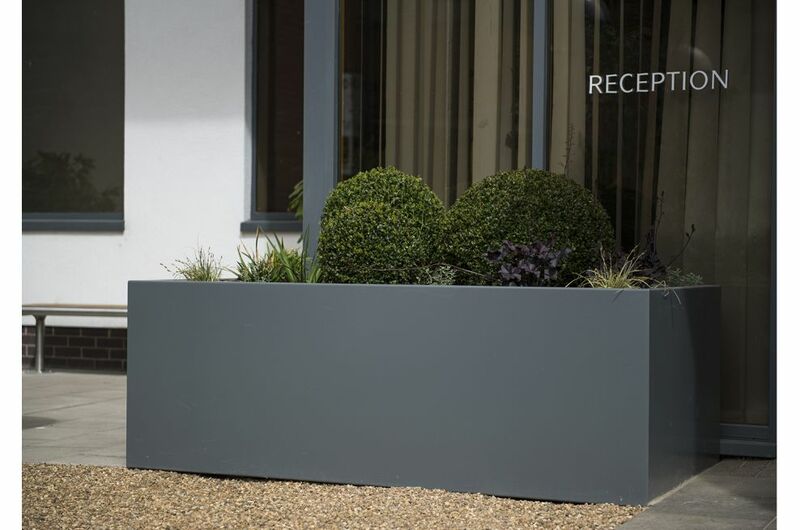 Bespoke powder coated steel planters were commissioned for the refurbishment of a premium office park in Bracknell. 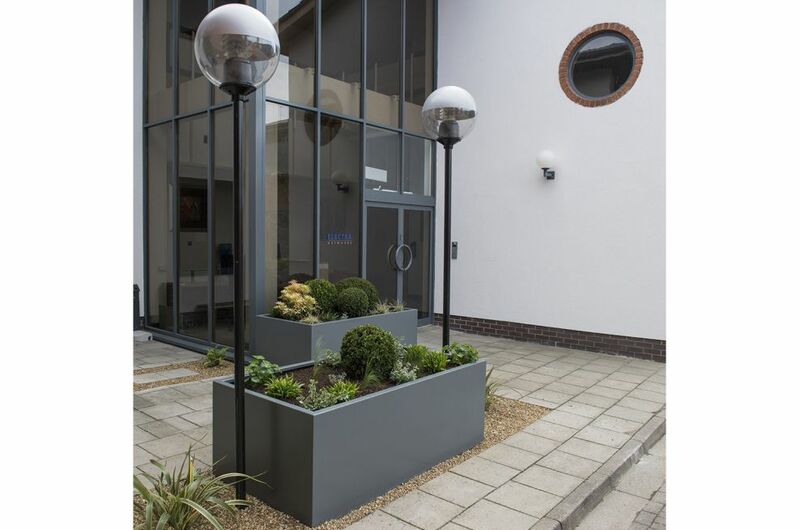 Bracknell Enterprise Centre comprises 5 self-contained office buildings, arranged around 2 separate communal areas. 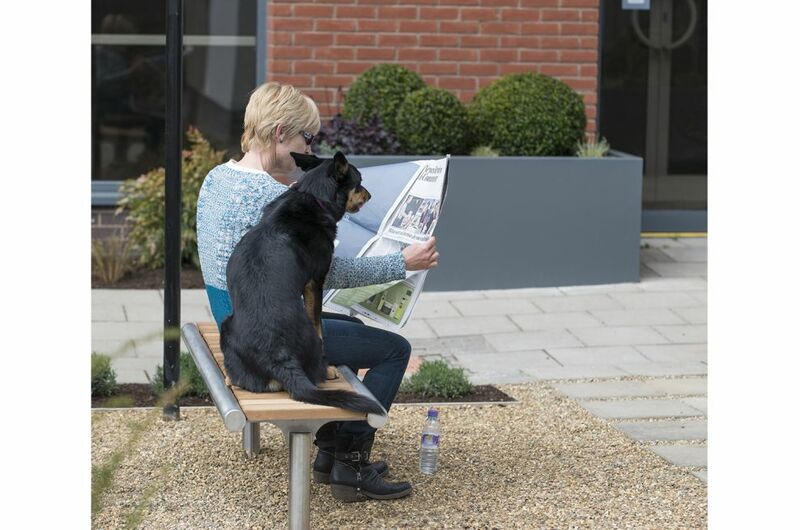 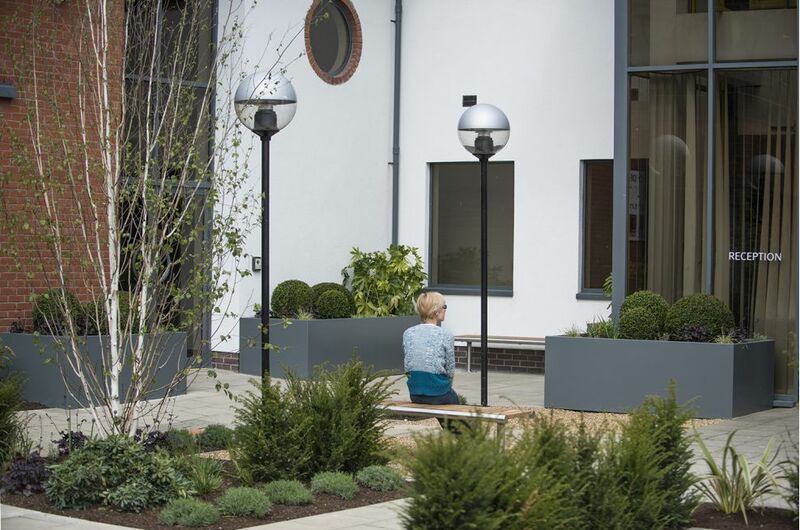 As part of a refurbishment plan for the entire development, these communal areas have been re-landscaped into green and intimate courtyard spaces; creating both a sense of arrival for commercial visitors, and also enhancing the attractiveness of the Centre to tenant companies and their staff. 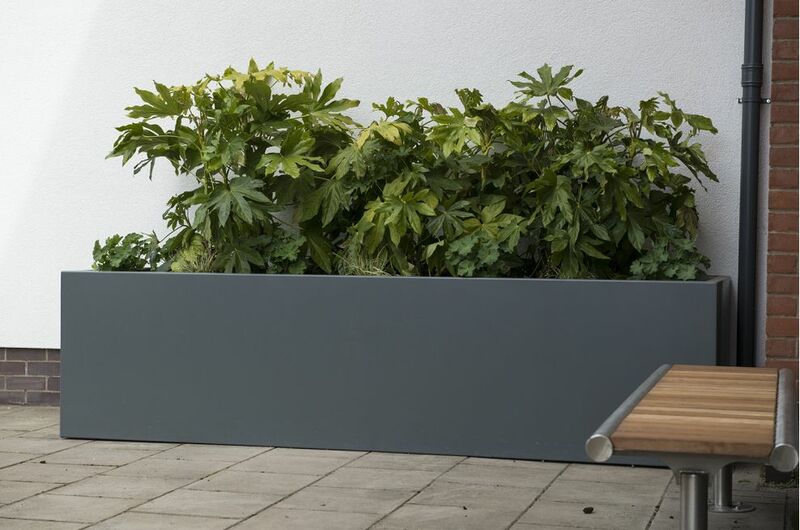 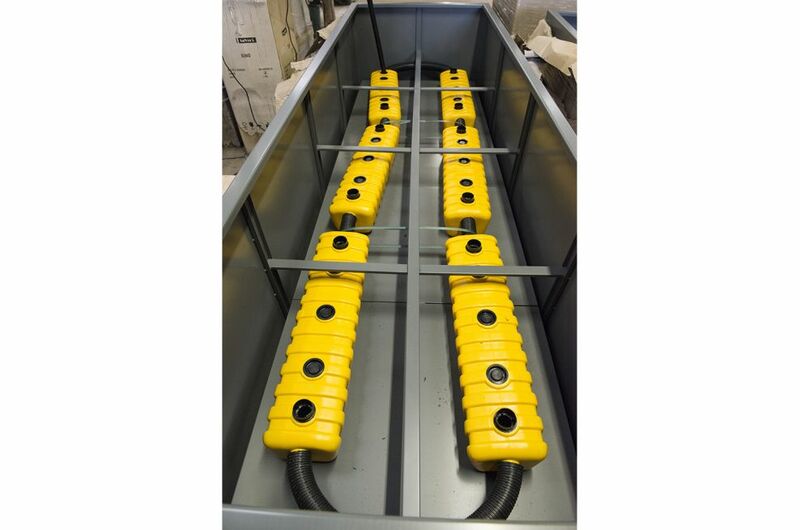 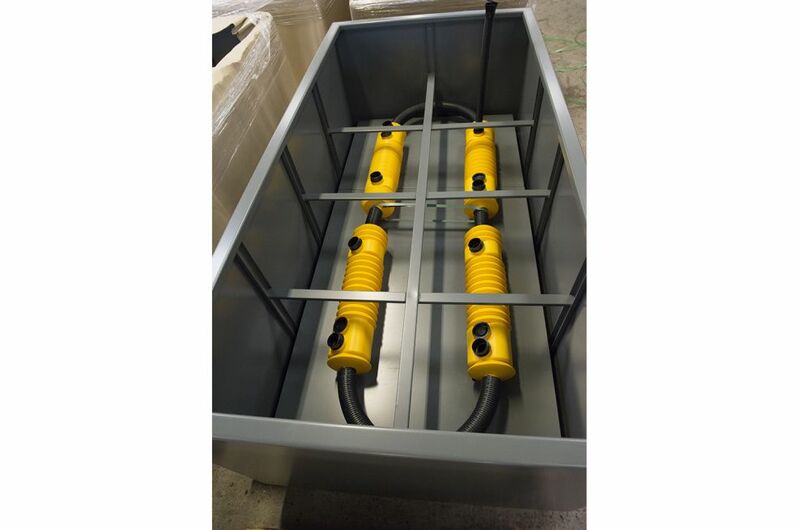 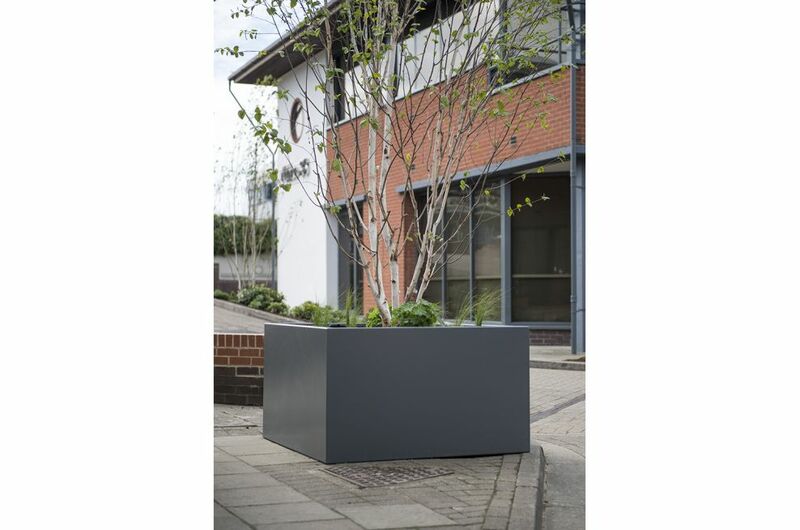 A total of 13 bespoke planters were supplied, in a variety of sizes and designs, including troughs up to L 3100 x W 1000 x H 700mm, and tree planters of L/W 1200 x H 700mm. 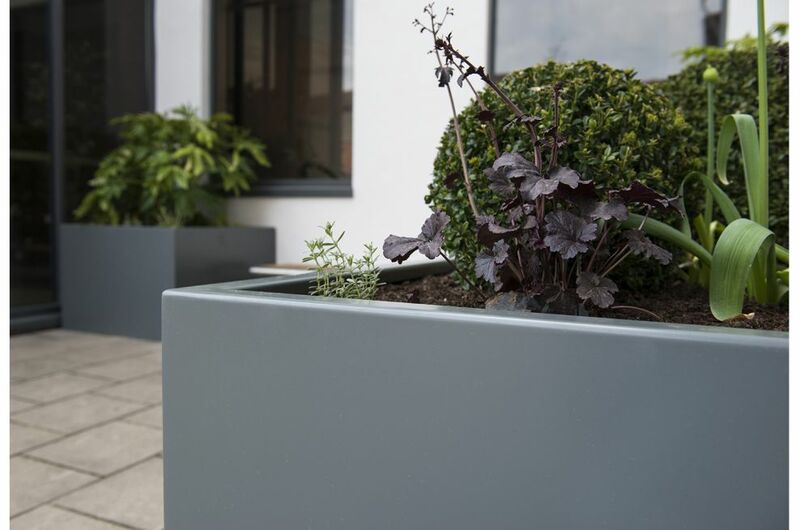 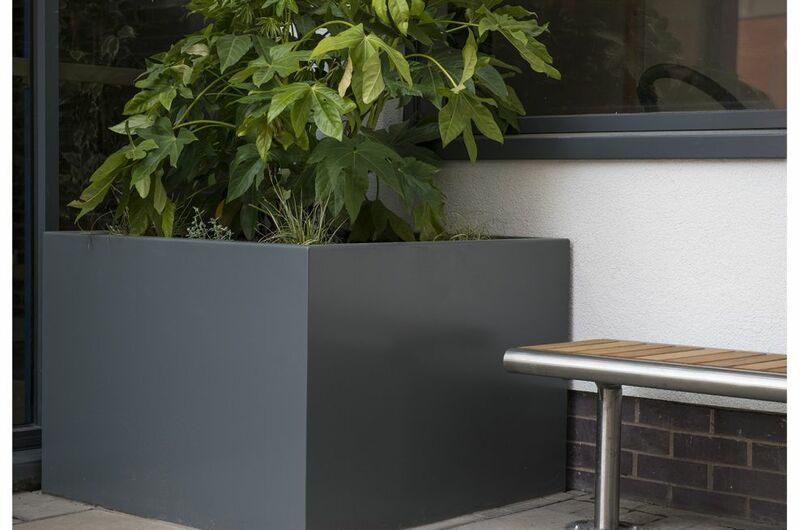 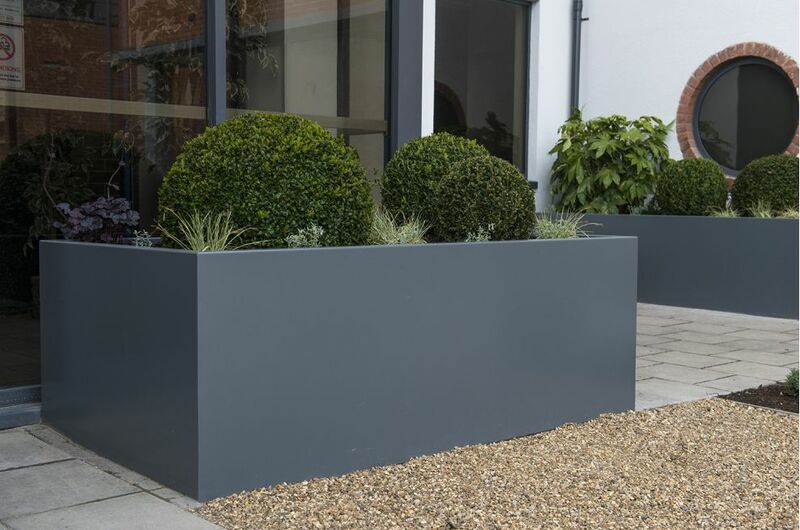 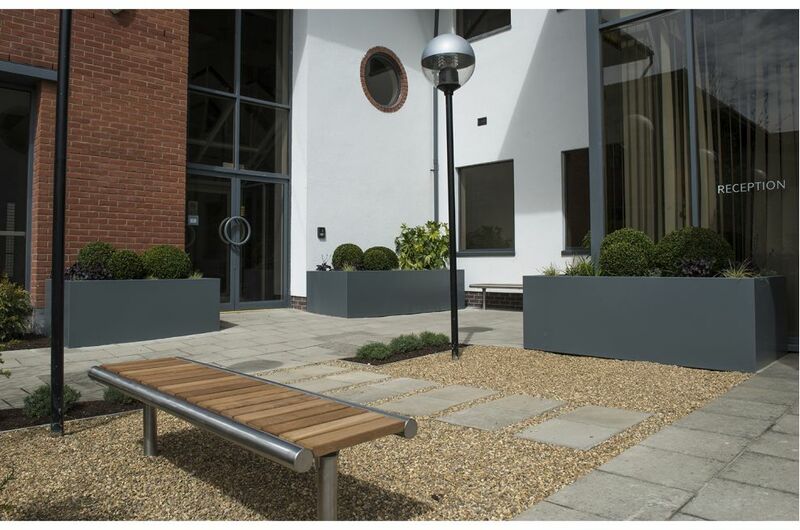 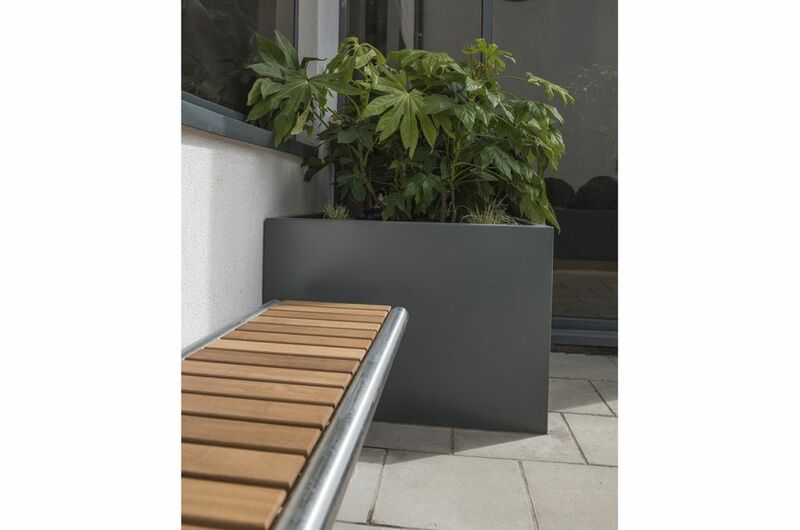 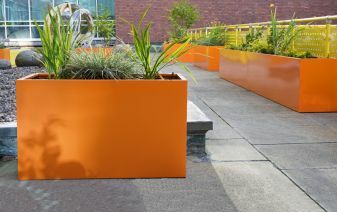 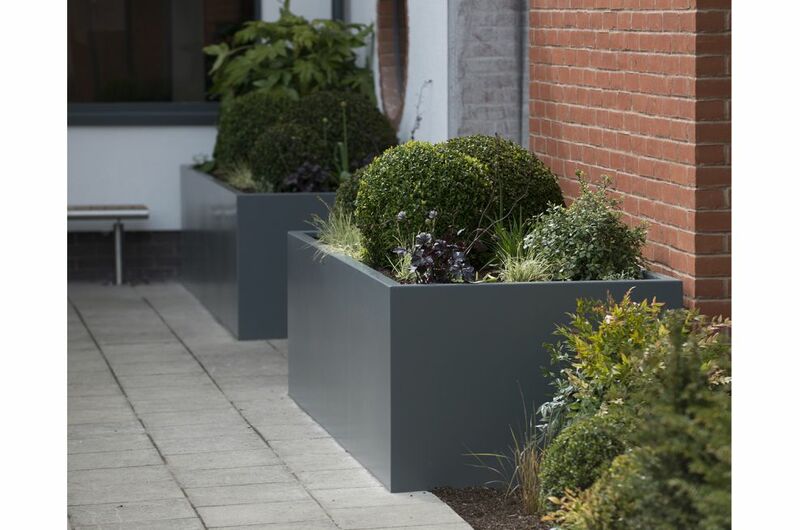 The planters were manufactured from 3mm thick Zintec steel, powder coated to RAL 7012 [Basalt grey] - a colour chosen to match the metal windows and rainwater goods of the buildings. 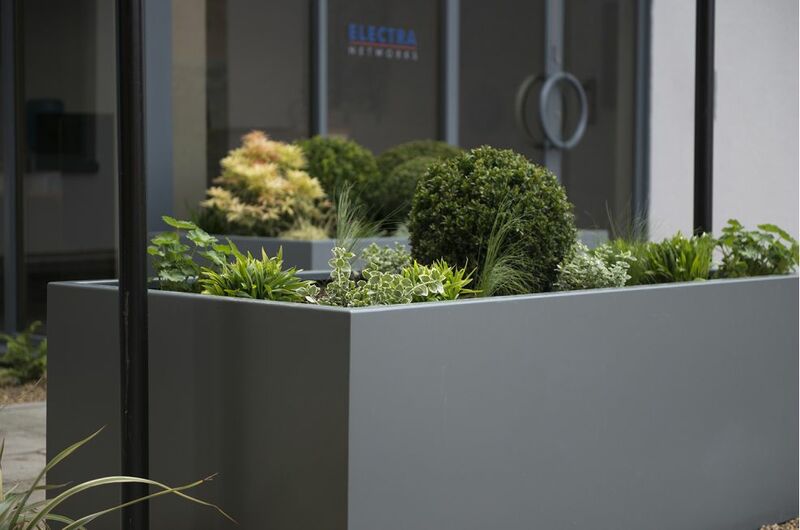 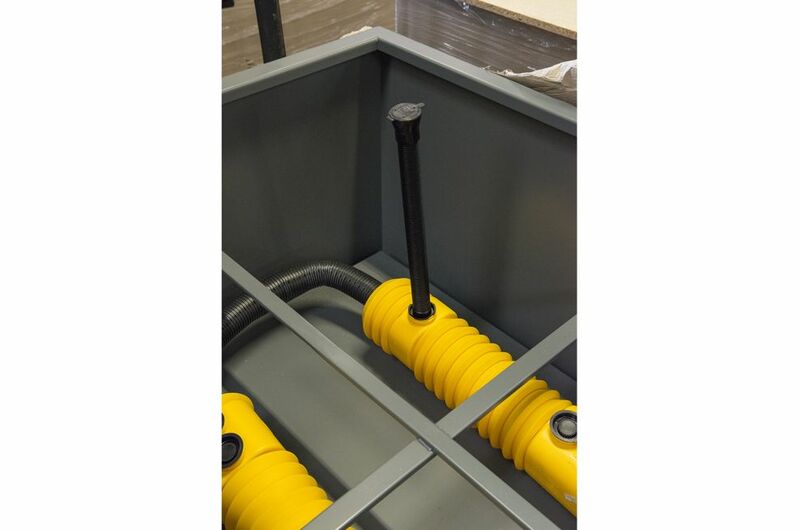 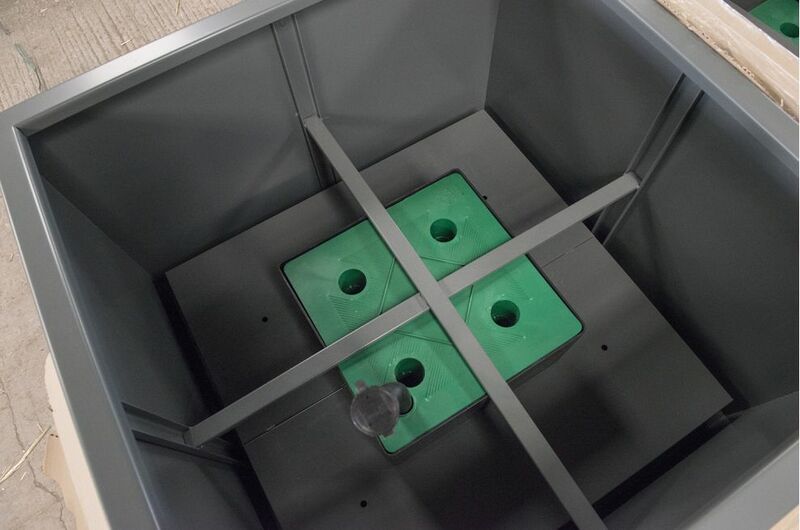 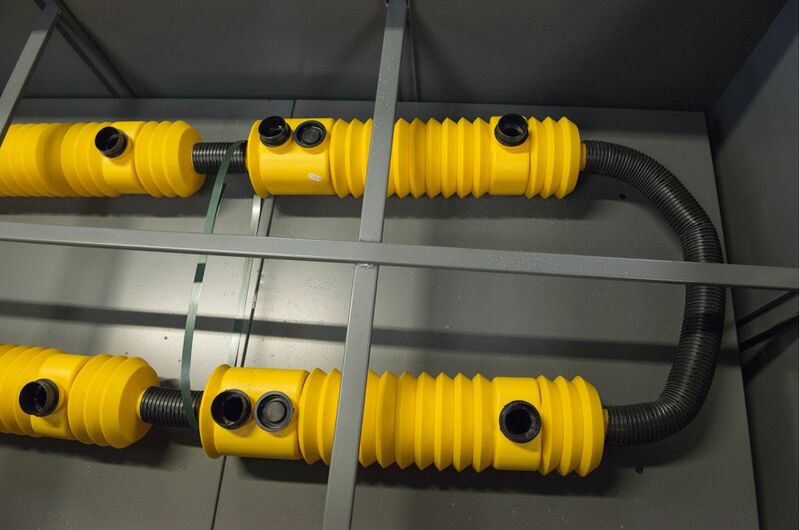 IOTA also supplied, and pre-installed, 6 different water reservoir solutions for the planters, in addition to supplying 3600 litres of Leca drainage material. 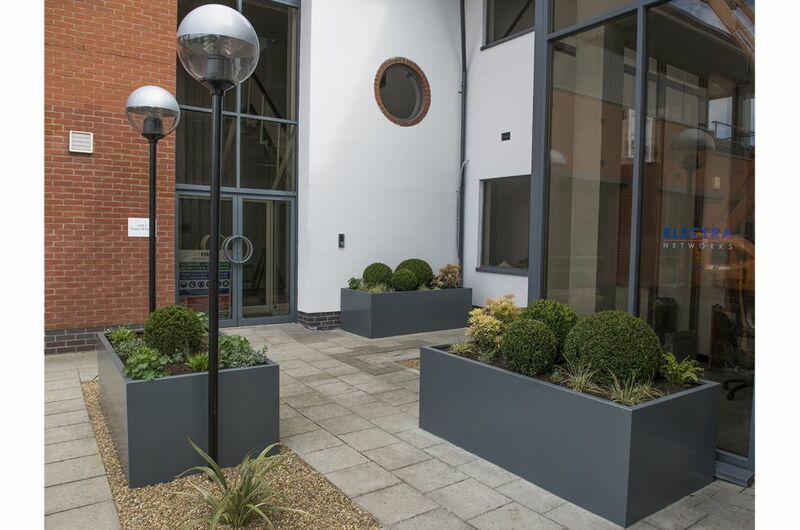 The re-landscaping of the site was conducted by Creative Landscape Company, who also commissioned, installed and planted the planters from IOTA.